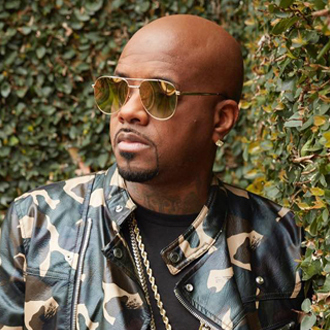 First emerging in 1992 when he co-wrote & produced the #1 hit “Jump” for young rap duo Kris Kross, Jermaine Dupri has had an outstanding career as a top songwriter & producer, co-writing 10 #1 songs and about 40 Top 40 hits for such artists as Mariah Carey, Usher, Monica, Xscape, Alicia Keys, Da Brat and Bow Wow. He has proven to be adept at creating hits in three genres: pop, hip-hop and R&B. Impressively, he has recently been selected for induction into the Songwriters Hall of Fame, and he’s a Grammy Award winner. Notwithstanding his career as a top writer/producer, Dupri is also known for building a successful record label, So So Def Recordings. On top of this, in January 2016 he launched a popular, reality TV series called The Rap Game (on the Lifetime Channel), which he hosts and produces. This series is now in its fourth season and he has developed promising hip-hop artists on the show. We are pleased to do this new Q&A interview with Dupri. This interview was conducted in-person at the recent ASCAP Expo conference in Los Angeles. Dupri did this interview prior to going on the main stage at Expo to speak to aspiring songwriters, artists and the music business community. Before we start this interview, here’s a rundown of his major credits as a songwriter. He won a Grammy Award for Best R&B Song, for co-writing Mariah Carey’s hit “We Belong Together,” which spent 14 weeks at #1 on the Billboard Hot 100 chart in 2005. His other #1 pop hits are: “Jump” by Kris Kross; “Always Be My Baby” and “Don’t Forget About Us” by Mariah Carey; “The First Night” by Monica; “Nice & Slow,” “U Got It Bad,” “Confessions Part II” and “Burn” by Usher; “My Boo” by Usher & Alicia Keys; and “Grillz” by Nelly feat. Paul Wall and Ali & Gipp. Dupri has also had Top 10 hits with Xscape (“Just Kickin’ It”), Da Brat (“Funkdafied”), Usher (“You Make Me Wanna” and “My Way”), Bow Wow feat. Omarion (“Let Me Hold You”), Bow Wow feat. Ciara (“Like You”), and “Shake It Off” (Mariah Carey). He’s also worked with many other artists including Janet Jackson, TLC, Aretha Franklin, Jay-Z, Ludacris and Migos. DK: Congratulations on being selected for the Songwriters Hall of Fame. How does it feel to receive this great honor? Jermaine Dupri: Thank you. It feels good. It feels kind of crazy, because it was unexpected. There are a lot of people who’ve had more hits and haven’t been inducted yet. But it feels good. DK: Your label So So Def is putting out a compilation to celebrate its 25th anniversary. Can you talk about this project? Dupri: It’s the first full compilation, with the #1 records by each of the artists. 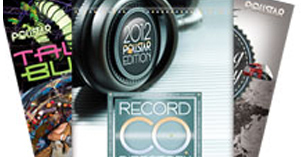 Being able to actually look at [the compilation] and say, every one of the artists I signed, they had a #1 record. And to put these songs on a whole record is pretty amazing. I’m not sure every label, with every group or artist they signed, had a #1 record. But fortunately, I was able to do that. With this compilation, people don’t have to jump from one record to the next and make their own playlists…I’m basically giving them what my playlist would be. co-written & produced by Jermaine Dupri. DK: How many songs will be in the compilation? Dupri: I think 17 songs, with three remixes that you can’t get on any streaming service: “Da B Side” with Brat & Biggie and myself, the “Let’s Get Married” remix with Jagged Edge that Kanye produced and is rapping on. And there’s one other remix. These are things that are definitely collectors items if you’re a musical person. DK: During the past two years you’ve had a successful TV series, The Rap Game. How did you decide to produce and host this show? Dupri: Somebody just told me that I should actually film my life, and that’s basically what this is. It’s what I’ve been doing all these years with artists, and how I bring them into my world and mold them into the [artists] that people usually see. People were very fascinated with that process, and this is when that idea came across the table. It was like, “Jermaine, you actually already do this. So this is something that you should do.” I wasn’t really 100% gung ho on doing reality TV. But once I realized that I could put my spin on it, and I could show people exactly what I do and answer a lot of questions that people might have, then I felt more comfortable about doing it. DK: You’ve had some winners on the show that have signed with So So Def. Dupri: Well everyone that wins, they basically sign to So So Def. That’s the ending factor—they get an opportunity to work with me. When people watch the show, they might believe that the artists are all 100% ready. But they still need to put the work in and need more help. They need me to really put my hands on it and work them into that direction. There was also a learning process for me when the show first started; it was trying to figure out how fast I was supposed to bring out the artists. Was I supposed to do it outside of the way I actually do it? Or should I really still use the momentum of the show as my momentum piece. I’ve been just going back and forth with that, but I feel I’m in this space that I’m supposed to be in now, and I know exactly what I’m supposed to be doing. DK: You’ve had a lot of success in both R&B and hip-hop. It seems over the past few years that hip-hop has become more dominant, with R&B being less popular. So what are your thoughts on how hip-hop is overtaking R&B? Dupri: I think that’s just a mentality, a mental space, because that’s actually wrong as far as I’m concerned. Bruno Mars is probably one of the biggest stars in the world right now. And The Weeknd is one of the biggest artists in the world. It’s almost like a tie, but people keep trying to act like Bruno Mars and The Weeknd are not R&B. These guys are R&B artists. They just make records that cross over. And if you look at it from that perspective, then it’s not really driven by hip-hop. Hip-hop is more heard…it’s what you hear more. But at the same time, what’s selling and moving up the charts and making noise, you still got SZA, you still got The Weeknd, you still got Bruno Mars. You’ve still got these artists that’s out here that’s doing their numbers, and they’re going head up with all the rappers that’s out. So I feel like, the culture of rap became more popular than the music itself. & produced by Jermaine Dupri. DK: One of your biggest hits is “We Belong Together” by Mariah Carey. Can you tell me how this song came together? So I brought in Manuel Seal, who was the same producer that I did “Always Be My Baby” with. Then we did “We Belong Together,” and that song became the song of the decade (and Grammy Award winner). DK: Early in your career you had a big hit with “Jump” by Kris Kross. How did you discover Kris Kross and write this song? Dupri: I found these kids (Chris “Mac Daddy” Kelly & Chris “Daddy Mac” Smith) walkin’ around in a mall in Atlanta, and they just looked like the word “cool” itself…they were the definition of cool. They were just kids in a mall, they didn’t have a record deal, and they probably didn’t have a lot of money. They just represented this mood, and I was attracted to this. I asked them, “Why you all look so cool? Why you all so fly like this?” And they were like, “We just chillin’…girls like us.” They were just telling me a lot of cool stuff and I was like, “Wow this is crazy. If you guys had a record out, you all probably be big.” That’s what I was thinking. And they were like, “We don’t rap, we don’t do all that.” Actually, they were like anti-rappers. They weren’t even trying to be rappers…they were just trying to be cool. And then I got their number [and it went from there]. It was just based on my idea…I saw how cool they were and I was like…if they had a record, they would go crazy. So I started writing songs for them. And after doing song after song, we started to get to a place where I knew them as artists. We picked the names Mac Daddy, Daddy Mac. We went through this whole process and the song that got them signed was called “Lil’ Boyz in da Hood,” and that was going to be the single. Then at the eleventh hour, I was like, I want to write another song. I went in my room and started working on this song, and “Jump” just came. It was like, The song. [I thought], I’m just gonna go all the way out, and I didn’t know if they could pull it off the way that I did the demo. But if they do the song the way that I did it, this should be a hit. And lo and behold…Boom. DK: You created many hits with Usher, starting with his second album (My Way). Can you talk about working with Usher? Dupri: Well, Usher came to me when I was working with Kris Kross. He wanted me to sign him. At the time, I was dealing with parents of artists (in the music business) for the first time, and I never had to deal with that before. So it was a little distracting for me. The parents were so demanding and crazy, and they wanted so much to be involved with things. And I was like…this is crazy because in the beginning, the parents gave me the kids. It was, “Yo, take these kids and do what you want to do with them.” And they never were around for the making of the music. But when the music comes out, these parents show up back again (laughs) and they’re like, “Yo, I manage them, this is my crew,” and the parents started arguing back and forth about the money and this and that. So I was saying to myself…Ah, this is very successful, it’s big and it’s great, but I don’t really want to deal with this again. So when Usher came to me, he wanted me to sign him based on being a kid artist, and I turned him down because I didn’t want to deal with the parent/artist situation again. When I turned him down, he went and got a deal with LaFace (Records). Then LaFace came back and said, “Jermaine, well at least do a remix on this new kid Usher.” So I did the remix for “Think of You.” L.A. (Reid) asked me to [experiment and add to the record], so I added a bridge to this song. At that point when they heard the song, they started hearing what Usher could possibly sound like because I wrote the bridge. And the bridge was my writing style. So then Usher starts singing [in this new way]. And from that point on, it was like, “Okay, we should do a new album. We should let Jermaine do it, because he understood what to do with this remix, and he gave you a verse and you sound amazing. Let’s go.” So that was the start of our relationship, and from there it was like, “Come to my house and let’s start working on as many songs as possible.” We did “You Make Me Wanna” and then it was [hit after hit]. DK: We’re here at ASCAP Expo, and you’re about to speak to many young musicians, songwriters and artists. What’s your advice to young people who are trying to break into the music business? Dupri: Oh, do it from a standpoint of knowing yourself. If you’ve got to force yourself to write, then you might not be a writer, if you know what I mean. If you have to force yourself to make music, then it might not be for you. Before I started making music, I walked away from making music. I wanted to play football and play sports (laughs), and my mother had put me in piano lessons and voice lessons. I didn’t like piano or voice lessons. And ultimately, it came down to me not wanting to be taught the way that they were teaching me. I liked it, but I didn’t want to be taught classical. At the end of the day, I really wish now that I learned it, but I didn’t want to learn it at that time. So I walked away from it. At some point, I had to meet it back in the middle. I feel like a lot of people now think that [music] is the thing they should be doing. Or it’s the thing that kids are doing or whatever it is. It’s got to be a real marriage between you and that thing. You know what I’m saying? That’s especially the way it is with writing. I gave myself this test about writing what I started—not writing things down on a piece of paper. I could just memorize whatever I would say. If I say it, I’d memorize it. And even if things happen to me within a [busy] day, I can still figure out what I was talking about earlier in the day to myself as a song. That is a real test of how bad you wanna do it. Because people forget all kind of things. People forget their keys, they forget to lock their door. But I’m walking through the whole world dealing with phone calls, talking to people and arguing, and yet still memorizing lyrics that I have for a song. That means that it’s a space in my body and a space in my head, that this is something that I really want to do. So that would be my bit of advice—really know, and test yourself to make sure that it’s something that you really want to do and it’s in your heart. We sell music resource books that will connect you with top A&R execs, music publishers & music supervisors.